View More In DVD Drives - Page 2. 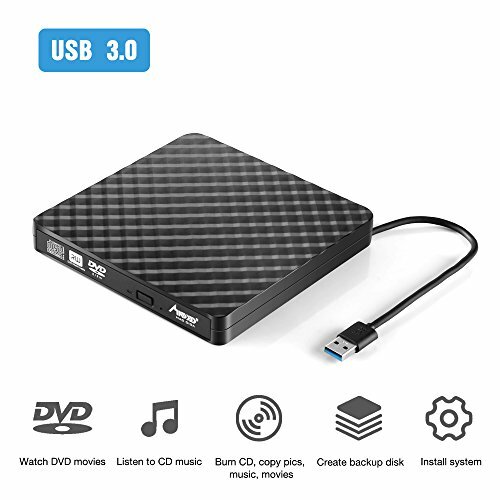 MAD GIGA External DVD/CD Drive With USB3.0 CD/DVD drive burner, you can watch DVD movies, burn files, movies to a CD/DVD, install software and create backup discs etc. 100% MONEY BACK FREE -- Totally Risk Free. MAD GIGA dvd for pc external with voltage stabilization system, avoid high or low voltage lead to the drive can not use or damage the computer. If you have any questions about this product by MAD GIGA, contact us by completing and submitting the form below. If you are looking for a specif part number, please include it with your message.